We love having kids and teens at camp! Throughout the year we have various week long camps, as well as weekend retreats for campers to come spend some time here at camp. We also have opportunities for high schoolers to come and work at camp through our SMT and Summer Staff Programs. For more information about our youth camps and opportunities check out the menu to the right. Hello Big Sandy Camp Family! 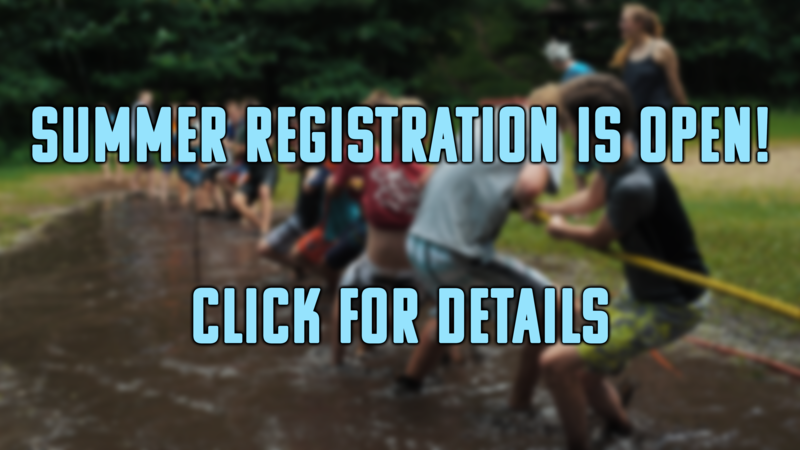 We wanted you to be aware of some details regarding summer camp registration this year. Our registration and drop-off days are changing from last year. Registration will be from 2:30-4:30 PM on Sunday afternoon. 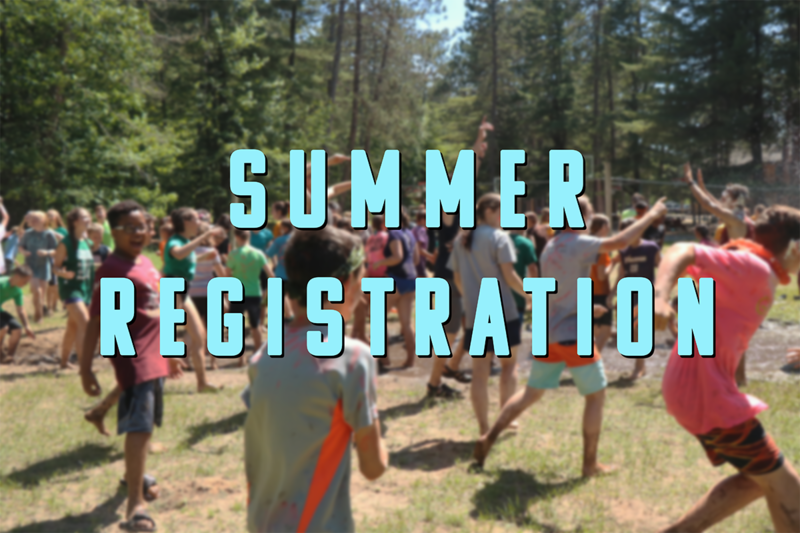 Summer camp and family camp registration opens at 9:00 AM on January 7, 2019. Your account may not allow you to login prior to 9:00 AM, but you should have access to it after 9:00 AM. This is designed to limit people from logging in to the server early, ideally keeping registration running smoothly for everyone. Please review your student’s registration forms and make any necessary updates to the information listed (e.g. any new allergies, updated medications, health insurance changes, approved pick-up persons, etc...). Please be aware that spaces will not be reserved for campers until a $100 non-refundable deposit is received by Big Sandy Camp. Deposit payments can be made online, with a check, or by a credit card over the phone. Thank you for your patience as we help everyone through the registration process. For questions or concerns, call our office at 218-426-3389, or email us at office@bigsandycamp.com. Summer is just around the corner and we are excited for you to join the experience here at Big Sandy Camp. Hang out at the waterfront with your friends, climb the highest wall in the gym, and enjoy a time of worship in chapel. All this and more during our summer camps. Register today so you don’t miss any of the action. Big Sandy Camp is excited to host its 60th year of Summer Camp in 2019! 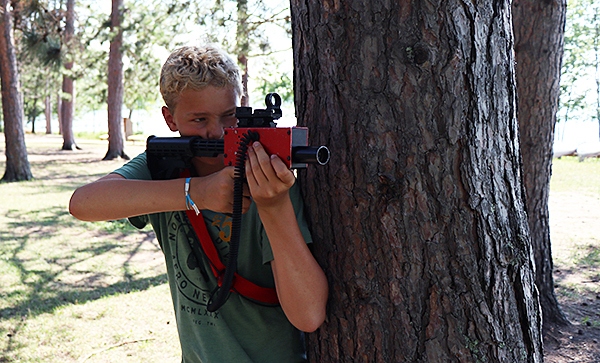 We hope that campers will find a fun, safe place to learn about Jesus at Big Sandy Camp. Our theme this summer is “Fearless: Facing Life’s Giants”. We will be using the backdrop of Big Sandy Camp to help prepare young people for the challenges in life by looking at the story of David and Goliath. We have two big changes this year at Big Sandy Camp. The first is that all of our weeks of camp will be starting on Sunday afternoons. Registration time is from 2:30-4:30 PM on Sunday afternoon, and camp ends with a closing rally at 12:30 PM on Friday. All campers still get a free camp photo and the highlight videos from each week are posted to Facebook and YouTube. The second big change at Big Sandy Camp is a change to what ages belong to each camp in 2019. All of these age groups apply to students entering these grades in the fall. Additionally, in 2019, we will not be hosting a Sprouts Kids Camp. Campers that are in need of individualized, acute and serious medical care and are unable to participate in most corporate camp activities should consider a specialized camp that is designed, staffed and equipped to provide those campers with a safe and enjoyable camp experience. If you have questions, contact Robert Snow (robert@bigsandycamp.com). A Beginning in summer of 2019, we are asking parents and approved pick up persons to show identification before leaving camp with children. This is designed to be an added safety measure for children while they are in the care of Big Sandy Camp and its staff. If you have any questions or concerns, please feel free to contact us at 218-426-3389. In order for your camper to be officially registered, you must put down a $100 deposit. Enrolling your camper alone does not hold their spot. No refunds will be issued less than 30 days from the event. Cancellations made more than 30 days prior to the event will be refunded minus a $100 non-refundable deposit. Starting in 2020, Big Sandy Camp will be moving to a paperless registration for Youth and Family Camps. Registration will be available online. For questions about how to register, please call our office at 218-426-3389. IN ORDER FOR YOUR CAMPER TO BE OFFICIALLY REGISTERED YOU MUST PUT DOWN A $100 DEPOSIT. ENROLLING YOUR CAMPER ALONE DOES NOT HOLD THEIR SPOT. All balances must be payed either before the camper arrives at camp, or during registration on Sunday afternoon. When paying for your child’s camp week we give the option to give a $5 or more donation to our Camper Scholarship Fund. Your generous donations help fund the scholarship program for campers in need! No refunds will be issued less than 30 days from the event. Cancellations made more than 30 days prior to the event will be refunded minus a $100 non-refundable deposit. 1st Time Camper Discount: This discount is for any camper who has never been to Big Sandy Camp before. You can request this discount as you register your camper. Extra Early Bird Discount: If you register your camper before February 8th you will automatically receive the Extra Early Bird Discount, taking $25 off of your camper fees. Early Bird Discount: If you register your camper before April 1st you will automatically receive the Early Bird Discount, taking $15 off of your camper fees. 2nd Sibling Discount: We offer a $30 second sibling discount for families sending more than 1 child to camp. You may request this discount for your second, third, etc. children that you are registering for camp. If you have three children, two of them will be eligible for the discount. If you have 4 children, three of them will be eligible, etc. Scholarships: You may apply for a scholarship from Big Sandy Camp to help bring your costs a little lower if you are in a tight financial situation. All scholarship applications will be turned in to our Executive Director, Dave Toth, for approval. Once approved the scholarship will be applied to your camper’s account. Please Note: Due to camper privacy, record keeping and software considerations, we will no longer be billing churches for camper registrations and outstanding bills. All inquiries regarding any outstanding balances will be directed to parents or guardians. Please deal directly with your local church if they are providing full or partial scholarship funds for camper registrations. We love summer at Big Sandy Camp! Camp provides eight different summer camps throughout the month of July and beginning of August for campers entering grades 3-12, maxing out at about 250 campers per week. Big Sandy Camp has been a week-long home to kids for 60 years! Every camper will be assigned to a cabin with a counselor who was hand selected by our program staff. Our counselors are carefully chosen young adults, many of who are headed into various ministry fields. They will spend tons of time with their campers, pouring into each of them and sharing the love of Christ with them throughout their week at camp. Many of our campers return to Big Sandy Camp as counselors in an effort to give something back and ensure that campers today have the same opportunities they did. We use a thorough hiring process including: a complete criminal background check, three reference letters, interviews, and a four-page application. All staff members are informed of Big Sandy Camp’s operational policies. 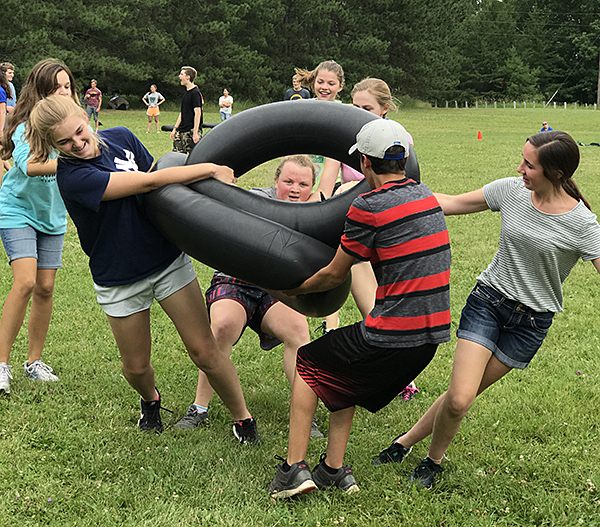 Summer staff members are specifically trained with Ministry Safe curriculum and guidelines in an effort to have all of our campers experience a safe and enjoyable stay at Big Sandy Camp. Every summer each staff member is certified by the American Heart Association in both First Aid and CPR. All lifeguards are American Red Cross or equivalent certified. We have a registered nurse on the camp grounds each week. Throughout the camp week our campers will be participating in numerous activities and events that are all run by our well trained staff. Campers will attend chapel every day where they will be poured into spiritually by our speaker for the week. The speakers that come to camp are very intentionally selected and prayed over. We hope to see your kids here this summer! Please Note – Be very careful about what clothing you pack. Watch out for inappropriate slogans on tee shirts. Girls, leave short shorts, short skirts, and midriff-baring clothing at home. Guys, leave speedo style swimsuits, along with baggy shorts that reveal your underwear at home. We're looking for modest dress. Let's show our inner beauty this summer. These are our values as a camp community. Thank you for following these guidelines. Summer is just around the corner and we are excited for you to join the experience here at Big Sandy Camp. Hang out at the waterfront with your friends, climb the highest wall in the gym, and enjoy a time of worship in chapel. All this and more during our summer camps. Register today so you don’t miss any of the action. Click here to start your registration or call 218-426-3389. We love having kids and teens at camp! Throughout the year we have various week long camps, as well as weekend retreats for campers to come spend some time here at camp. We also have opportunities for high schoolers to come and work at camp through our LIT and Summer Staff Programs. For more information about our youth camps and opportunities check out the menu to the right.